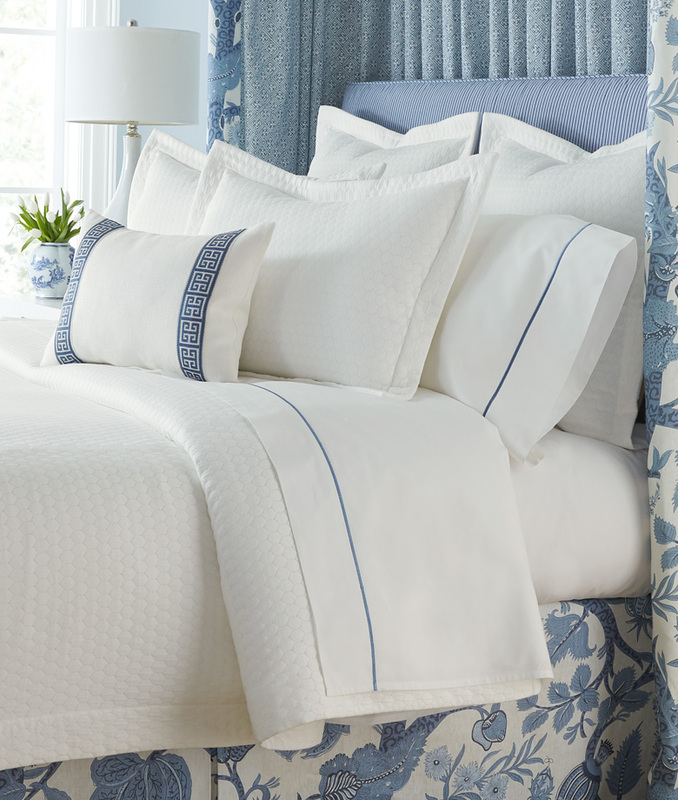 Our newest Matelasse, Coventry's honeycomb pattern is a timeless choice to pair with many of our bedding collections. Available in Antique White and shown here with Macbeth Blue Bed Skirt and Bed Panels. Inside Bed Panels in Laos Blue; for Meandros Key Tape Trim pillow, see Macbeth. Sheets are Percale White Satin Stitch I with Slate Blue.